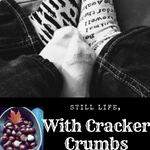 March | 2018 | Still Life, With Cracker Crumbs.. Lately, I have discovered the wonders of YouTube. I feel like a tween. Or a teen. Sometimes though I want to just chill and veg but don’t have more than 15 minutes. And actually, they also have some pretty cool stuff for the boy too! Sesame Street Celebrity Songs – Wyatt loves these. He constantly is signing “music, music, please” to us. I have to admit, I like these too..
Dave and Ava: These are also wonderful! Wyatt, who is working on gaining speech in therapy (and at home of course!) actually has started saying some of these words, along with the songs! Zoella – I’m not into beauty or fashion really, but, for some reason I watch all of Zoella’s videos. I found her at Christmas, and loved her monthly favorites. And those were my gateway Zoella videos. Clutterbug! I just found her stuff the other day and love it! I am so busy reorganizing and redoing our little house, and I love all her tips. I also discovered that Billy and I are butterflies. We are not messy, we just are trying to use methods that don’t work for us! And that is my story and I am sticking to it, thanks to Clutterbug! Living Big in a Tiny House: I am fascinated by how creative these tiny houses are! I am in love with this one. So cute and adorable! Little Book Owl: I watch a few book bloggers on YouTube, but Little Book Owl is my favorite. And if you read my book blog (Quixotic Magpie) she is the reason Billy and I read Nevernight, one of my new favorite books! I’m open to suggestions too! Anyone have any recommendations? I would love to hear them!